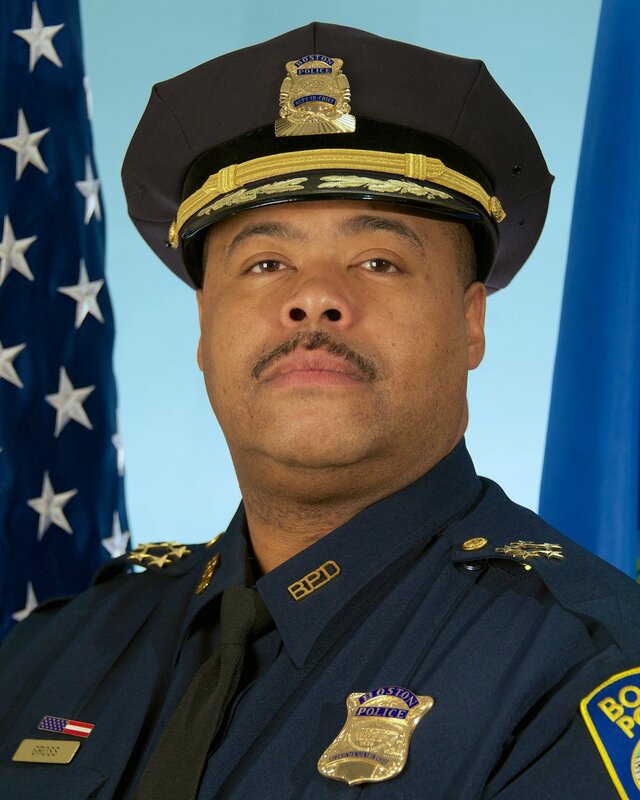 BOSTON - Monday, July 23, 2018 - Mayor Martin J. Walsh today announced the appointment of William Gross as the City of Boston's first African American Commissioner of the Boston Police Department (BPD), who will assume the duties and responsibilities of Commissioner William B. Evans who is set to retire from the Boston Police Department on Saturday, August 4. Gross currently serve as as Superintendent in Chief of the Boston Police Department. "On behalf of the City of Boston I want to thank Commissioner Evans for his lifetime of service in keeping the residents of Boston safe," said Mayor Walsh. "The role of Police Commissioner is not an easy one, but is one that can make a tremendous impact in our neighborhoods. Under Commissioner Evans, the Boston Police Department has been a national model for community relations, for youth outreach and for making our neighborhoods safe. He is one of the best commissioners in the country and one of the best in Boston's history." "This decision to leave the Boston Police Department was one of the most difficult of my life," said Commissioner Evans. "I am incredibly proud of all the work we've done over the last four years to make Boston safe for our residents, and my heart and soul will always be with the Boston Police Department. This is the place where I got my start as a cadet, and rose through the ranks to Commissioner, and I will always be grateful to the Mayor and the men and women of the Boston Police Department who put their trust and faith in me, and allowed for me to live out my dreams." "Superintendent Gross is a proven leader who is trusted and respected in the community and by his colleagues in the Boston Police Department," said Mayor Walsh. "I am proud to appoint him as the first African American Police Commissioner for the City of Boston. Superintendent Gross is a product of our neighborhoods, and has a deep understanding of our communities, and connection to our people. I look forward to continuing our important work ahead to make sure all residents and neighborhoods in Boston remain safe." "It has been my life's work to serve the community that shaped me and keep people safe in every neighborhood, and I am honored and grateful to be able to continue that work as Boston's Police Commissioner," said Gross. "I want to thank Mayor Walsh for his support and for this opportunity, Commissioner Evans for his leadership and friendship, and the community for who I would not be here today without." "Commissioner Evans has dedicated his life to improving public safety for the residents of Boston. I am proud that Chief William Gross will continue this strong tradition in his new role. Chief Gross is someone who knows the neighborhoods and people of Boston," said Representative Jeffrey Sanchez. "Furthermore, as a parent and someone who grew up in Boston, I can't overstate how important it is for our kids to see an African American leader of the Boston Police Department. This is a transformative day for our City. I thank Mayor Walsh for selecting the best person for the job." "I thank Commissioner Evans for his decades of service to the City of Boston, his commitment to strong community policing strategies, and his partnership over the last few years while I've served on the Council, including implementing the body camera pilot program and expanding the police cadet program," said City Council President Andrea Campbell. "I applaud the Mayor for his historic appointment of William Gross, who will be the first African American person to serve in this role. I look forward to working in partnership with Commissioner Gross on issues of public safety in my district and across the City, including to increase diversity in our law enforcement ranks." "Chief Gross is the right person, at the right time, to lead the Boston Police Department, to build the partnerships, to reach out and engage all of us to tackle public safety challenges and to continue the many effective, community policing initiatives here in the city," said Michael Kozu and Emmanuel Tikili, interim co-director of Project RIGHT. "We have worked with Chief Gross for a number of years in Grove Hall and while we have made progress, he also understands the issues that are holding us back, in our neighborhood and in our city. He knows so many people, from young to old, and is accessible to all." "Willie has been a leader in our community for a number of years. He is a constant presence and has a passion for keeping our communities safe," said Lisa Guscott-Wells, Mattapan resident and CEO of Long Bay Management Companies. "The decision to appoint him to Commissioner is an excellent one. I commend Mayor Walsh for choosing a valued community leader, advocate and friend. As a lifelong resident of Mattapan and classmate of Willie; I salute him in this new role, and his commitment to making our communities safe." "Congratulations to the City of Boston on the appointment of Willie Gross as Police Commissioner," said Marilyn Anderson Chase, resident of Dorchester. "Time and time again Chief Gross has demonstrated that he can be trusted, by the men and women with whom he has served and will now lead, as well as by the citizens he is sworn to protect. He has executed his obligation to enforce the law with compassion and a commitment to fairness, equity and justice. I commend Mayor Walsh for the wisdom reflected in this historic appointment." Under Commissioner Evans' leadership at BPD, every year since 2014, violent crime and property crime in the City of Boston have gone down. As part of their efforts, BPD has made significant gains in building and earning trust in the community, and has done unprecedented work with at-risk young people to help show them a safe path forward through programs and initiatives such as the Mayor's Youth Summer Jobs Program, Summer Camp Referrals, YouthConnect, Operation Exit Trades Pre-Apprenticeship Program, Boston Public Health Commission's Trauma Teams. Other initiatives aimed at increasing positive interactions between BPD and the community include: Jr. Police Academy, Teen Police Academy, P.A.L. to PALS, Youth and Police Dialogues, BPD Ice Cream Truck, National Night Out, Flashlight Walks, Coffee with a Cop. For more information on these programs, please visit here. As part of Boston's efforts to keep residents safe, the Boston Police Department held an annual gun summit to stop illegal guns from entering our city, and has held gun buyback days, offering residents the opportunity to return unwanted firearms. In addition, the department has brought in trauma and mental health teams, probation officers, street workers, recovery coaches to help with emergency response to those in need of care. As a result of the department's success in keeping residents safe, while building meaningful relationships with residents, in 2015, the Boston Police Department was recognized by the Obama White House as a leader in community relations.